[NEW YORK] The biggest investment banks recently signalled a sea change in their corporate culture, telling their most junior employees to ease up a bit on their hard-charging work schedules. Like other practices on Wall Street, however, the more things change, the more they remain the same. A number of young bankers say that while they can now enjoy a leisurely brunch or a binge of television watching on Saturdays, their overall workload has not changed noticeably. It just gets pushed to a different day. "If you have 80 hours of work to do in a week, you're going to have 80 hours of work to do in a week, regardless of whether you're working Saturdays or not," said a junior banker at Deutsche Bank, who, like the others interviewed for this article, spoke on the condition of anonymity. "That work is going to be pushed to Sundays or Friday nights." "It's well intentioned," he added, "but I don't know if it's actually practical." Young people on Wall Street have long been accustomed to working through weekends and into the wee hours. But in the last six months, many of the major banks have instituted what amounts to a radically new policy: take a few days off a month, on the weekends. They are responding in part to fears across the industry that finance is losing its appeal for bright, ambitious college graduates. Silicon Valley beckons, with generous employee perks at companies like Google and Facebook and the promise of wealth and prestige at hot technology start-ups. At the Wharton School of the University of Pennsylvania, traditionally a magnet for aspiring financiers, 25 per cent of the undergraduate class of 2013 entered jobs in investment banking, according to the school's career services office. That is a big decline from the halcyon days before the financial crisis. Of the class of 2007, 48 per cent took jobs in finance. The changes also were spurred by concerns that rippled through the industry after a 21-year-old intern at Bank of America Merrill Lynch in London died last summer. The cause of death was determined to be epilepsy. Unconfirmed reports on online forums said that he had worked through three consecutive nights as part of his internship. Still, some junior bankers, known as analysts and associates, are sceptical about the new policies. With Saturday designated a day of rest at some banks, several bankers said that other days, including Sunday, have become more intense. At Goldman Sachs, which last autumn instructed junior bankers to stay out of the office on Saturdays, one analyst said he recently had to work until 4am on Monday to complete a project on time. He also said he now felt more pressure to get his work done during the week, since he no longer has a full weekend to complete assignments. The banks' approaches to their weekend policies vary. In February, Barclays introduced rules that forbid analysts to work more than 12 consecutive days. 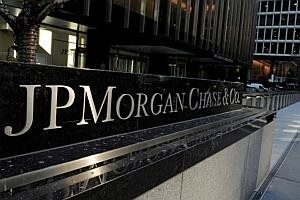 JPMorgan Chase has given its analysts the option of taking a "protected weekend" - Saturday and Sunday - each month. While several analysts spoke positively about the change, one, who recently left the bank, complained that the weekends had to be scheduled four weeks in advance, requiring the kind of planning that can be incompatible with a young person's evolving schedule.